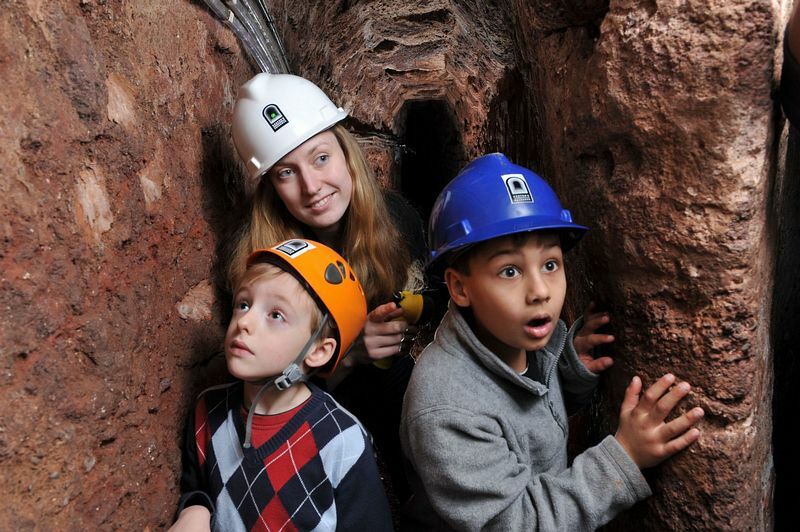 A guided tour of Exeter's Underground Passages is a memorable event - narrow, dark, interesting and exciting. These are the only passages of this kind open to the public in Britain. The Passages have long exercised a fascination over local people, bringing stories of buried treasure, secret escape routes, passages for nuns and priests - even a ghost on a bicycle! Their purpose was simple - to bring clean drinking water from natural springs in fields lying outside the walled city, through lead pipes into the heart of the city. The pipes sometimes sprang leaks and repairs to buried pipes could only be carried out by digging them up as we do today. To avoid this disruption the passages were vaulted and it is down some of these vaulted passageways that visitors are guided. From Exeter Bus Station, walk up Paris Street, the entrance to the Passages is on the left. From the High Street, turn right down Paris Street, the entrance to the Passages is on the right.